This year’s event will be Saturday, October 15 in the Grand Luxe Hall at Western Front, 303 East 8th Ave., 12pm-4pm. Part of the worldwide Home Movie Day celebration, and organized by the local audio visual community, this event is always festive and fun. You can bring in your own 8mm, Super 8, or 16mm film and VHS video or just come out and see other people’s films. There will be a demonstration of working with Super 8 film. We hope to see you there. For more detail, see the Vancouver Home Movie Day Facaebook page. 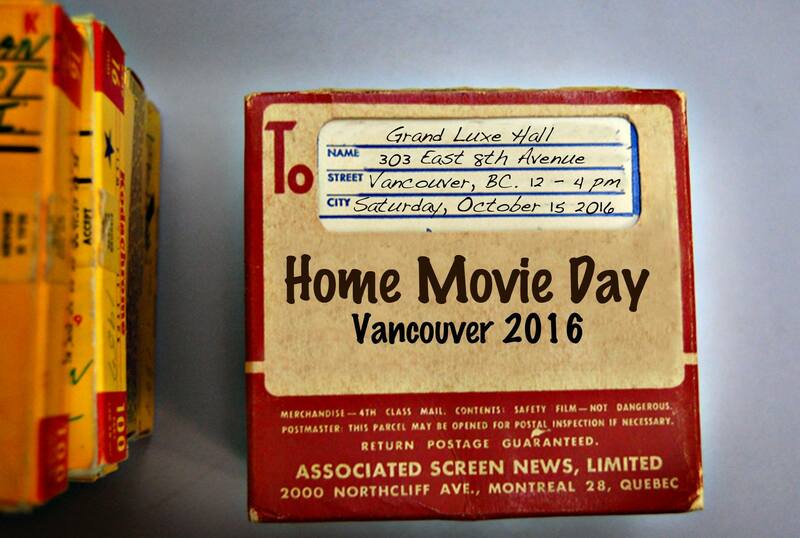 Join amateur-film enthusiasts, film and video archivists, and your neighbours for Home Movie Day 2014, this Saturday, October 18 at the Hangar at the Centre for Digital Media. Home Movie Day is a free public event celebrating amateur film and video and honouring the unique contribution of home movies to our understanding of social and cultural history. 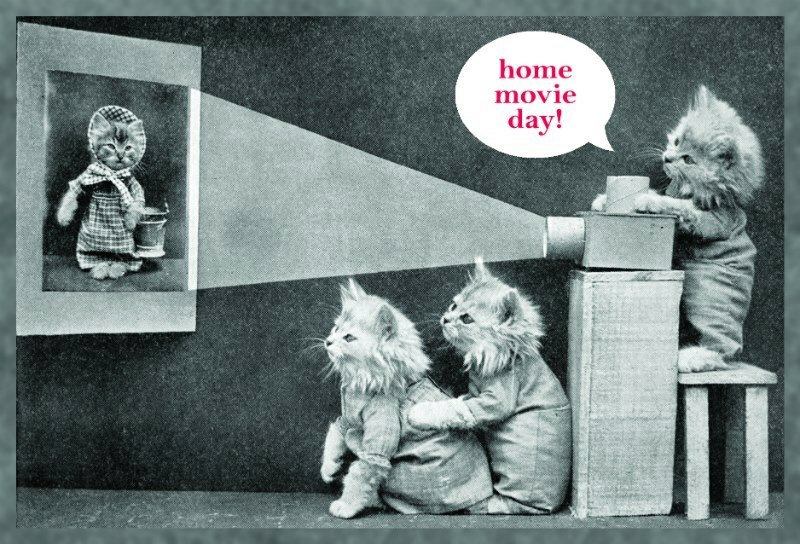 Home Movie Day is a volunteer-driven international initiative, and this year, events will be held in Japan, Wales, Indonesia, and Austria, among many other countries. The Vancouver edition will be hosted by the Audio-Visual Heritage Association of British Columbia (AVBC) and the Centre for Digital Media (CDM). Check out the Facebook page! Fun for one and all! Source: Home Movie Day, Center for Home Movies.